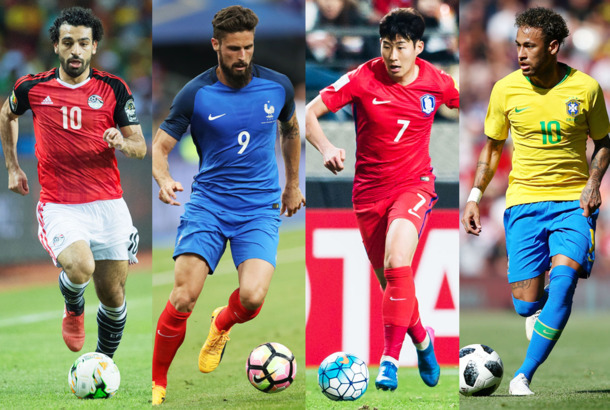 Late Night Coverage of the World Cup, RankedRanking the five hottest takes on the U.S.’s coldest interest. 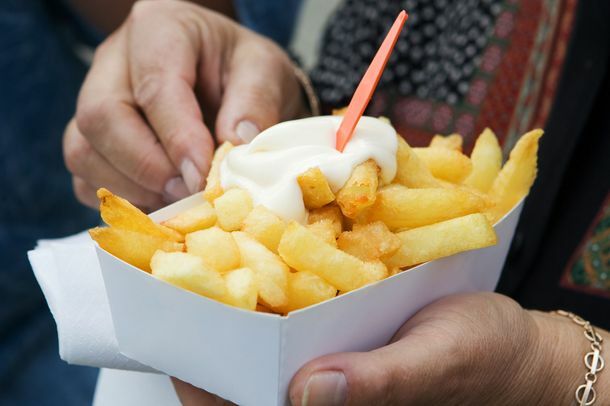 Belgium Plays France Today, So Eat Fries With Mayo — the Way It’s Meant to BeWhichever country you’re rooting for, both understand this truth. The New World Cup Song Is Here and So Is Will SmithThis is the closest we’ll get to being part of the action, America, so live it up! Relive the Most Glorious Moments From Team USA’s World Cup Final WinCarli Lloyd was relentless. Rival Popes Will Not Be Watching the World Cup Together, or at AllThey don’t really care, and it’s on too late anyway. The Saddest Newspaper Front Pages in Brazil After Their World Cup EmbarrassmentO major fiasco da história. How Will Their Team’s World Cup Implosion Affect Brazilians Psychologically?Not a good week to be Brazilian. Server Claims NFL Player Stiffed Her on Tip During World Cup GameAnother day, another viral receipt. Here’s the U.S. Soccer Team Wiggling Their ButtsA beautiful tush-wiggle for you. Famous People Watching the U.S. World Cup GameOn Air Force One, at a random person’s Brooklyn apartment, and so on. Turns Out Prince Harry Is an Agile Soccer GoalieHis Brazil tour has involved many athletics. What the World Cup Means for Abused WomenDomestic violence rises by as much as 38 percent in England, says a new PSA. The World Cup Is Getting People Laid Another reason to become a fútbol fan. Why Uruguay’s Luis Suarez Is Always Biting EverybodyA sports psychology professor offers his thoughts. Buffalo Wild Wings Stock Gets Record-High ‘World Cup Bounce’Nothing’s more American than “football” and wings. 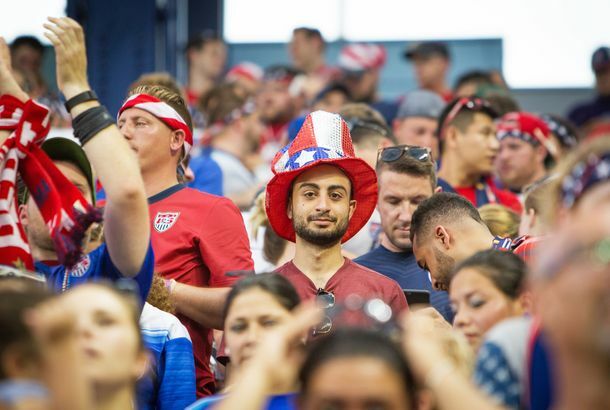 OH AY AHHHH: Why the World Cup Theme Is Stuck in Your HeadIt’s a practically perfect earworm, scientifically speaking. World Cup Players: Still Touching Each OtherThe agony, the ecstasy, and the man-handling. Red Rooster’s World Cup Party; Polo Dobkin’s Meadowsweet OpensToday’s Leftovers. Smiley Joe Biden Congratulates U.S. World Cup Team With BidenismsThe vice president brings the good vibes. Delta Airlines Learns Giraffes Don’t Live in GhanaA celebratory World Cup tweet went very wrong. More World Cup Destinations; Brooklyn Winery’s Rosé PartyToday’s Leftovers. Pitbull Unleashes Mankle on the World CupSomething for the ladies. 22 NYC Bars and Restaurants With Very Appealing World Cup SpecialsColonia Verde, Croxley Abbey, and more bars and restaurants. Leitch: Is 2014 the Year Soccer in America (Truly) Goes Mainstream?Just wait until the national team gets good. World Cup at Colonia Verde; Bon Appétit’s Grub CrawlToday’s Leftovers. U.S. World Cup Draw Basically HopelessThe United States will face Ghana, Portugal, and Germany. Brazil World Cup Stadium Collapse Kills ThreeA crane malfunction occurred today at Itaquerao Stadium in São Paulo. Paul the Octopus Is Predicting Things in Heaven NowBecause he’s dead. Where Were You When Spain Won?The scene at La Nacional and other Spanish strongholds yesterday. Spain Wins World Cup!By one point. Will the World Cup Final Be the Most-Watched Event Ever?In any case, it’ll be an enormous ratings spike for ABC. BP to Experience Most Annoying Payback EverWith vuvuzelas. Ghana Eliminates U.S. in World CupIt’s over for the Americans, but Ghana moves on to play Uruguay. Watch the Video for R. Kelly’s Uplifting World Cup Anthem, ‘Sign of a Victory’As always, let’s achieve anything, including the impossible!